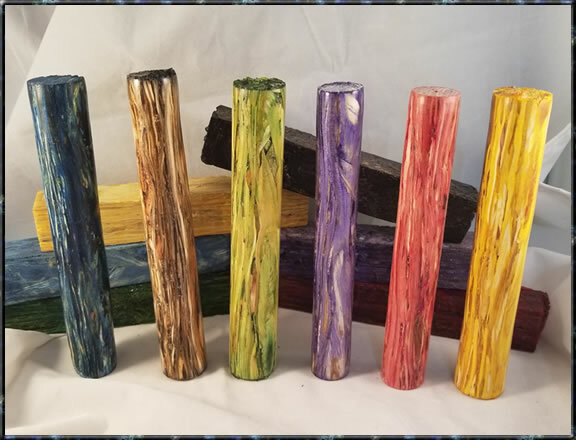 Stabilized Sawmill Blanks - Multiple Colors! These are some really cool blanks made from Sawmill Dust. Tim Dyes and Stabilizes them.